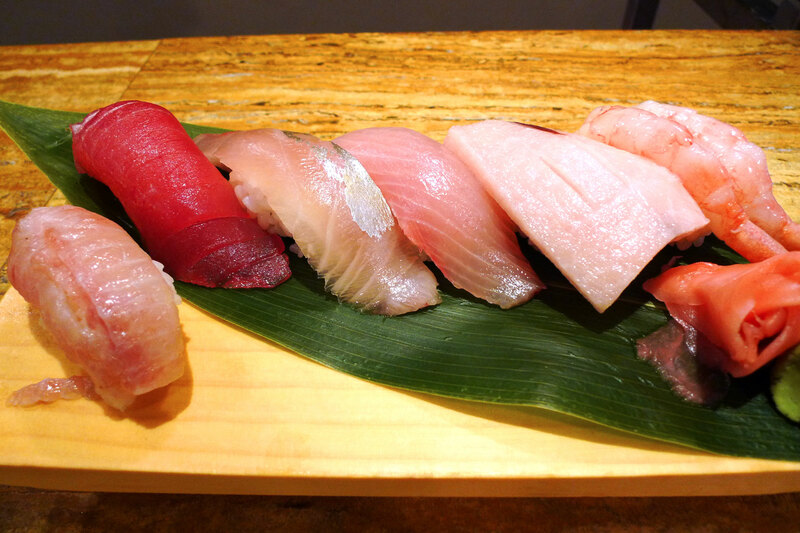 The first omakase of 2010 at the Standing Sushi Bar! 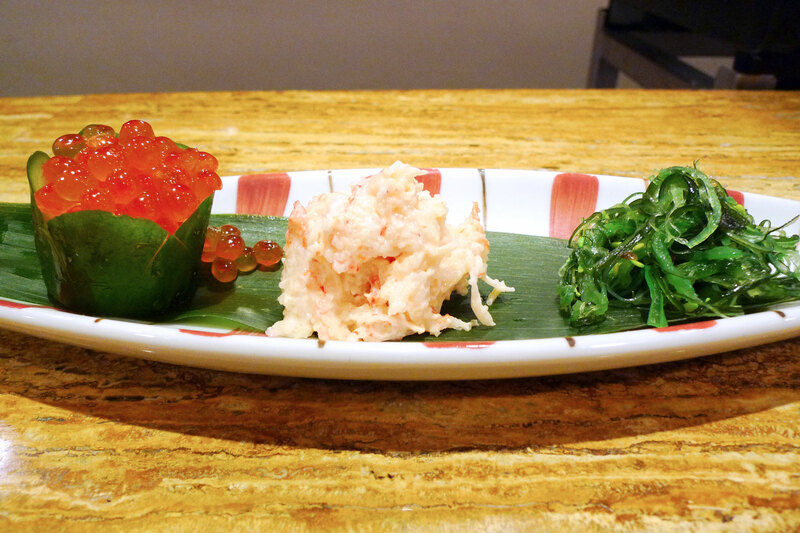 Ikura in cucumber cup, lobster wasabi salad, and mixed greens. 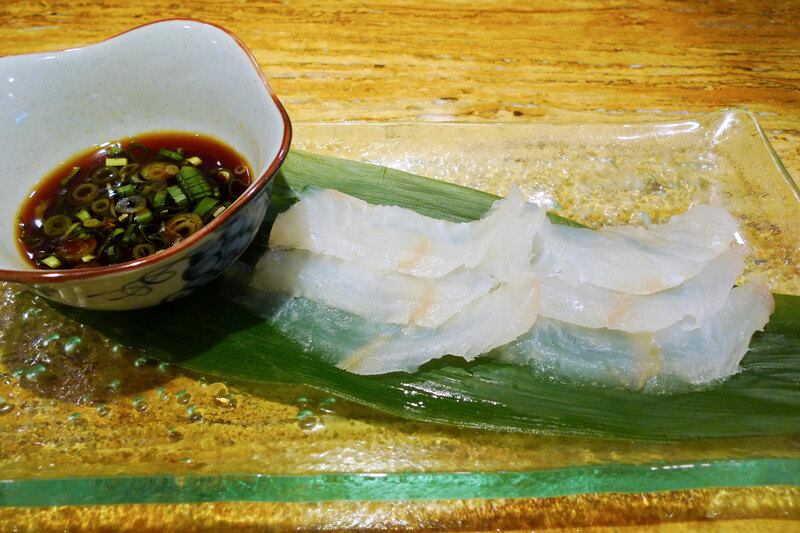 This is flounder sashimi prepared in a traditional style of slicing thinly known as uzusukuri. Came with a ponzu dip which is vinegar with citrus. This was the huge rockfish, or “Rocky” as Howard named it, that was laying in the SSB cooler, and Roy prepared it with his special secret sauce. I actually thought the fish was kinki but I was wrong. The meat was firmer than normal fish but not too dry. It was nice to eat its skin as well together with the flesh. Loved the foie gras here and the beef cubes were cooked differently as well, with a delicious and juicy feel to them. however I think there was a fair amount of butter used in this for basting. Didn’t expect this dish! 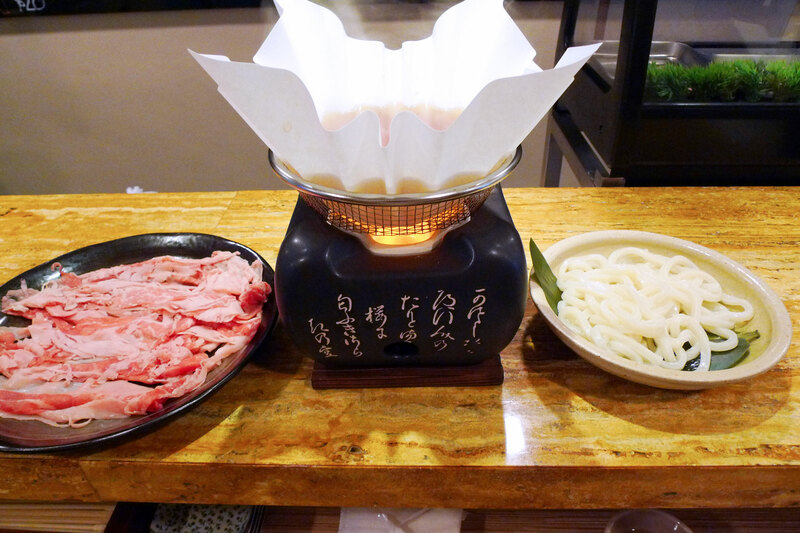 I don’t really have to describe what shabu-shabu is as it is quite obvious how it is eaten. But the beef was a good one from Australia and it was sliced thinly with nice fat marbling as well. Very yummy and after dipping all the beef in the soup, we put the udon into the soup and eat it from there, enhanced by the beefy taste from the soup. Engawa refers to an exterior hallway on the side of a traditional Japanese house. For flounder, it refers to the thin muscle of the dorsal fin which is located on the sides. 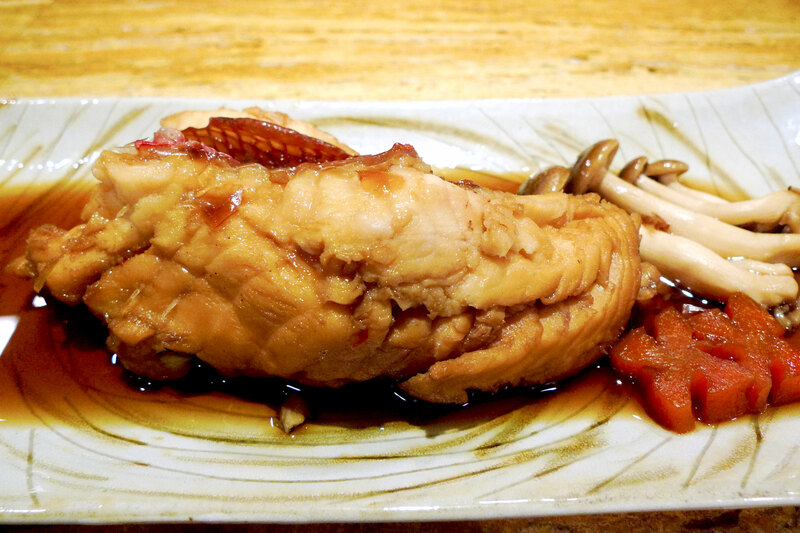 This muscle is very developed compared to the rest of the body and unlike the regular flesh, it has a higher fat content which makes it a delicacy. 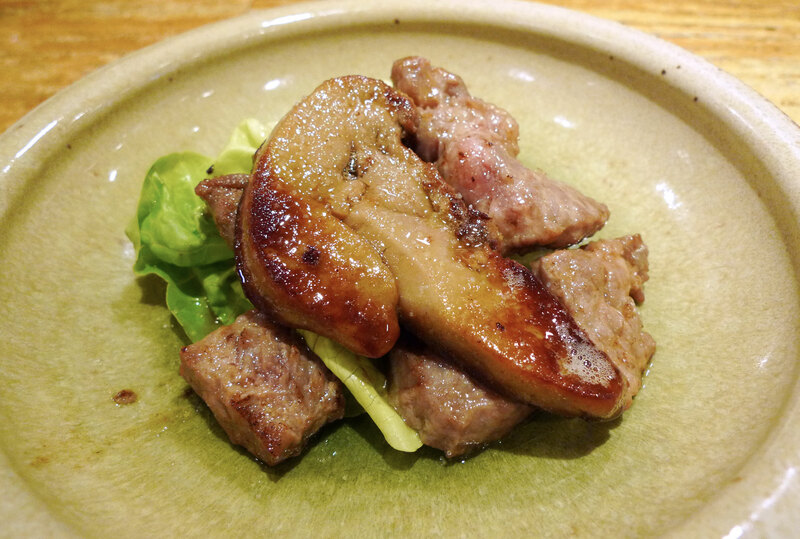 It is very soft and chewy and more concentrated in flavor. Usually quite rare as they can only make 2 pieces from each flounder. 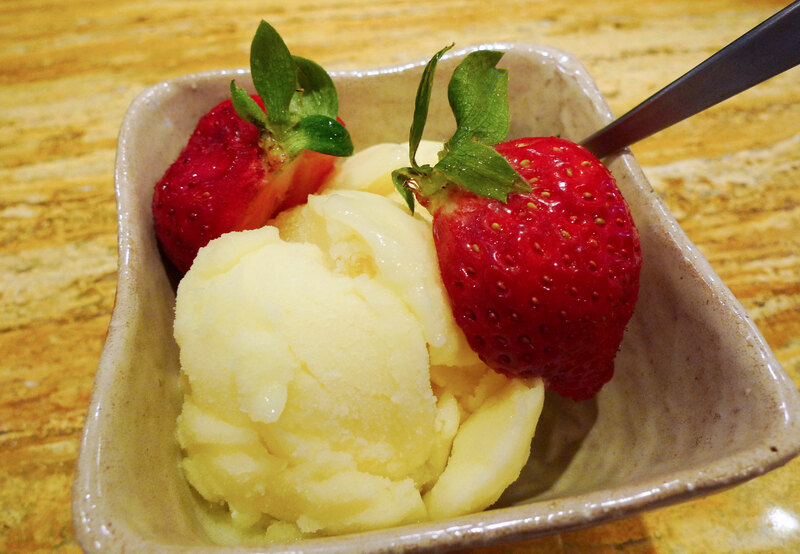 The usual dessert but this time with a huge strawberry from Japan! It was very nice and juicy! 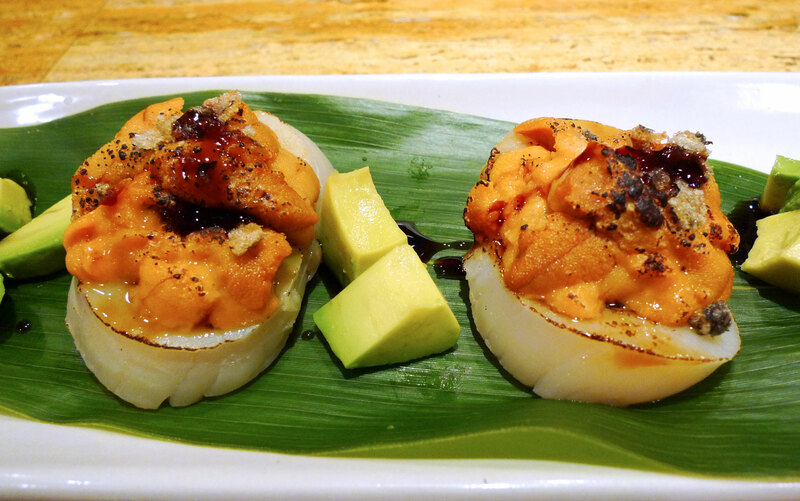 4 Responses to "Omakase for the new year"
Nice! Your oma is getting better each time! How do I tell Chef Roy I want alkanphel’s oma haha… how much did this cost anyway? Not yet I’m afraid. I hope to go soon!